Whether your tooth is broken or you have a cavity, Prairie Mall Dental in Grande Prairie can help by removing the decayed portion of the tooth and repairing it with a filling. Fillings are used when there is decay, also known as a cavity in a tooth. Fillings can also be used if there is a cracked or broken tooth that needs to be fixed. We also recommend replacing fillings that have become damaged over time. There are several types of fillings and we work closely with our patients to determine the best option for restoring their teeth. Composite fillings, along with silver amalgam fillings, are the most commonly used fillings today. Composite fillings are tooth-coloured, and can be more closely matched to the colour of a patient's existing teeth. These are aesthetically suited for use on the front teeth or other more visible teeth. 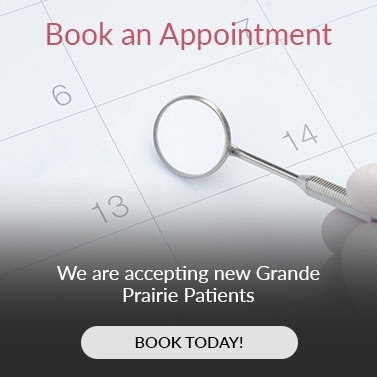 Contact our Grande Prairie dental team to book your next dentist appointment.